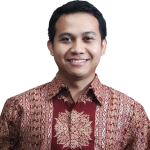 Khoirul is an analyst at BGA’s Indonesia office, specializing in pharmaceutical, consumer goods and ICT sectors. He specializes in Indonesia’s industrial and investment policies, global production networks, market entry, and local content regulations. Khoi supports a wide range of clients working across these sectors and provides them with insights into aspects of Indonesia’s regulatory environment. Khoi was previously a research assistant at BGA, focusing on the oil and gas sector and fiscal and tax policy. Before joining BGA, Khoi spent more than three years as a reporter for The Jakarta Post, Indonesia’s leading English-language daily, covering ICT, trade and industry issues and he interviewed prominent policymakers such as Indonesia’s ICT Minister and leading international CEOs. He also previously worked at British pharmaceutical firm GlaxoSmithKline in Indonesia. Khoi received a prestigious Chevening Scholarship and holds a Master of Science degree in international business from the University of Birmingham. Thanks to his superior performance, he was selected to join the 2017 Birmingham MBA Deloitte Consultancy Challenge. Khoi holds a bachelor’s degree in political science from the Department of International Relations at Gadjah Mada University in Yogyakarta.